ShaRee Castlebury is one creative teacher. As a special project, Castlebury, a first-grade teacher at Pat Henry Elementary School in Lawton, Okla., came up with the original idea of turning a dress into a sentimental piece of artwork. Castlebury brought a plain white dress to her classroom a few days before school ended. 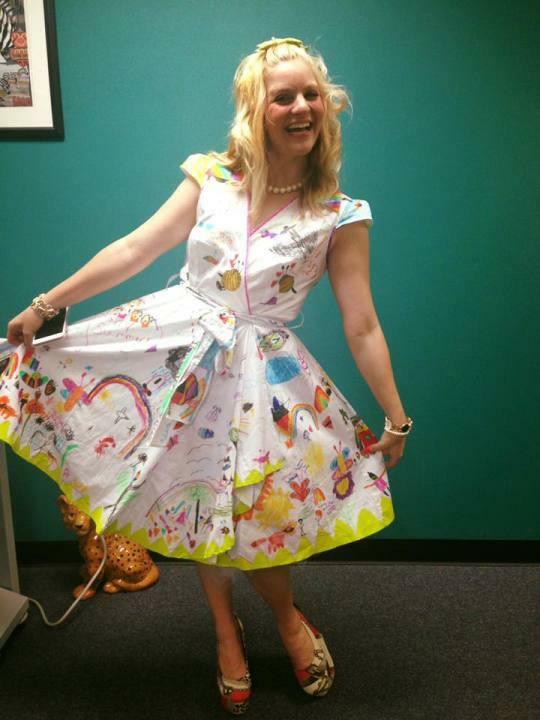 She handed her students fabric markers so they could decorate the dress, covering it with doodles of hearts, flowers, kites, bugs, and rainbows. 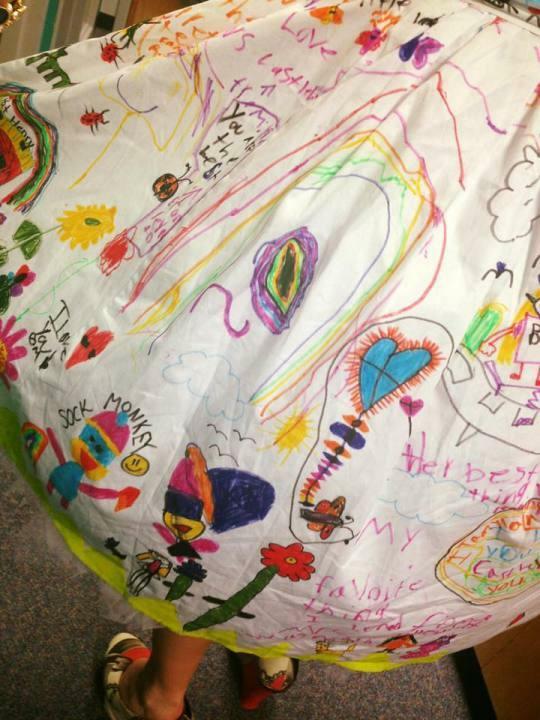 All of the students then signed the back of the dress, which Castlebury wore on the last day of school. The dress was such a hit that Castlebury has decided to make the wearable art project an annual tradition for each of her graduating classes.